BLNDR’s debut album “L’Observatoire” is a nostalgic overview of his past few years. The following pair of twelve-inch records attempts to capture meaningful memories from travelling around the world. Embodied with a marking touch of melancholia laced through most of the tracks. 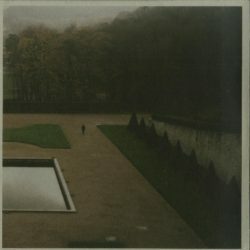 it is a contemplative ambient journey recorded in a period where fantasy and memory met. This is Hypnus Records third double LP and the first in a line of albums that will be released in 2018 and well into the following year. Released under the June full moon. Love and light.